Have you been trying various treatments to get rid of that extra flab but only ended up getting disappointed? Do you want a flat stomach that can make you feel confident amongst your peers? Then it’s high time you started using an abdominal belt! Obesity is a hiking problem which is surely an unwanted thing. It definitely affects one’s personality and lowers their confidence levels. Those stomach tires make you uncomfortable whether you wear short dress, long dress, denims or anything. And they cannot be hidden in any way. A flat, well-toned abdomen is desired by everyone as it is considered the most desired part of the body. Well, it is difficult to burn fat from any specific part of the body, but we are lucky to be born in this era where it is possible to get a flat and well-toned abdomen! Abdominal belts are a sure shot way to lose abdominal weight. Unlike other techniques, it is easy as one can use it while cooking, watching television, during exercise, during walk etc. 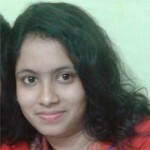 So want to know more about abdominal belt for weight loss? Sit back and give this post a thorough read! Most of us might have heard about abdominal belts! Isn’t it? 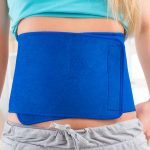 These are basically wraps worn around the abdominal area for losing weight. They are commonly used to get rid of post-pregnancy belly fat that occurs as a result of c-section surgery. These belts are made up of elastic and stretchable fabrics. There are clips or hooks attached for tightening and loosening according to one’s comfort level. Besides simple abdominal belts, there are electric abdominal belts as well available in the market. These kind of abdominal belts have electric pads in them. These belts are meant for toning or trimming the abdominal area by stimulating an electric impulse. Abdominal belt is compact. You can wear clothes upon it and can go out. 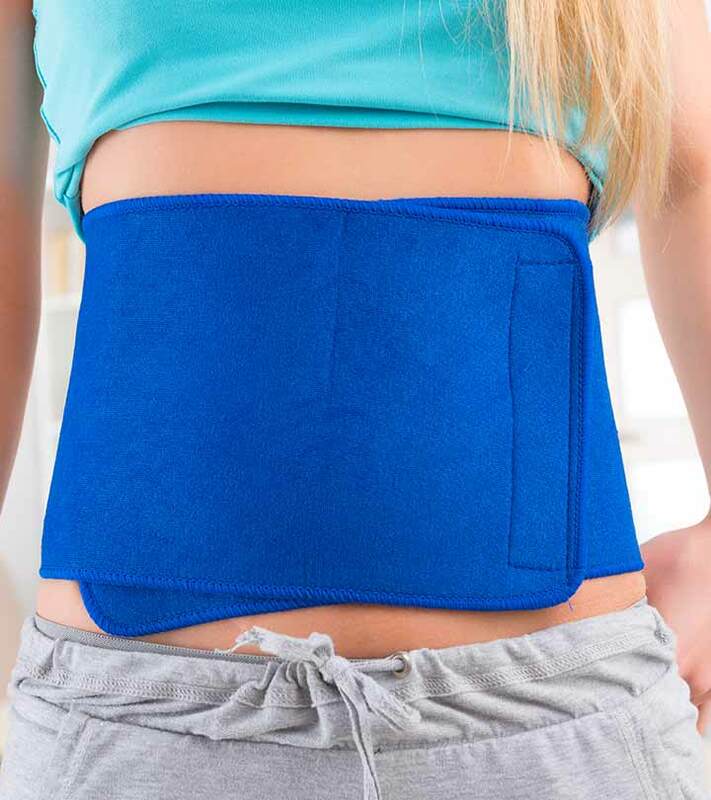 The moment you wear this belt you can observe 1-2 inch decrease in circumference, which is temporary but with regular use of it you can trim your stomach or abdomen. How To Use An Abdominal Belt? Using an abdominal belt is quite easy. All you need to do is wear it around your abdomen perfectly such that there is a few inch decrease in circumference. To be able to lose belly fat effectively, it is important to know how to use this abdominal belt. Given below are a few steps to wear an abdominal belt. Step 1 – You have to stand straight in an erect position. Step 2 – Avoid making your stomach too tight or too loose by breathing hard. Just breathe normally to keep it in place. Step 3 – Abdominal belt should be in direct contact with the skin. In other words, you cannot wrap it on your clothes or any other material. It has to be wrapped directly around your abdomen with no clothing or material in between. Step 4 – After taking care of the above three steps, wrap the abdominal belt around your abdomen. You can loosen or tighten it according to your comfort level with the help of hooks or clips. But make sure that it is tight enough, otherwise it is of no help to you. For better results, it is advisable to wear the abdominal belt all the time except when you are sleeping or resting. These belts make the wrapped area compressed. The muscles also get compressed. This process helps in losing few inches and toning your abdominal area. These work faster than non-electric belts. These belts have electric pads attached to them from where impulses are sent. Thus, the muscles contract and the heat of these belts increases metabolism of that area that helps in burning calories. Electric abdominal belts come with a controller for increasing and decreasing impulse level. Apart from these, there are abdominal belts in the market, which reduce appetite by blocking hunger message to the brain. As we all know, less appetite means reduced weight. Obesity is often accompanied by several health problems. Since abdominal belts aid weight loss, it also reduces the risk of health issues like heart diseases, high blood pressure and diabetes. Women often crave for a slim waist and abdominal belt helps in achieving this. Also, women have a greater tendency of gaining weight around the abdominal area due to childbirth, improper diet, ageing etc. Abdominal belt slims up the waist area, giving your body a shapely appearance. Abdominal belt can help in improving posture as well. It is made up of neuroprene material that, though soft, is rigid and durable. When you wear this belt, you can sit straight that results in an improved posture. A good posture plays an important role in reducing the incidence of back and neck pain. Hence, if you are troubled by a bulging belly or love handles, you can consider using an abdominal belt for toning up your abdominal area. However, it should be kept in mind that nothing can replace a healthy diet and a proper exercise to lose weight effectively. Are you already using an abdominal weight loss belt? If yes, do not forget to share your experiences with us by commenting in the box below!